We are a little nervous as the travel lift creeks and groans while lifting our precious cargo into the air. 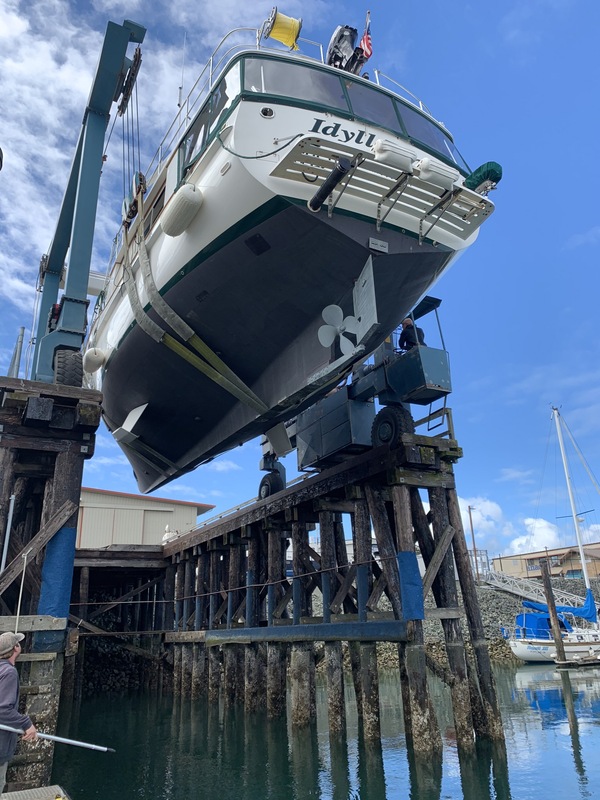 We have been hauled out many times but it is always an uneasy feeling until Idyll Time is safely back in the water. On this particular launch, Idyll Time must be carried almost half a mile down several streets to the travel lift pit. North Harbor Diesel’s trailer type of lift is unable to lift us due to our stabilizer fins. They have contracted with another marina to put us in the water. Things go smoothly and we are soon floating. 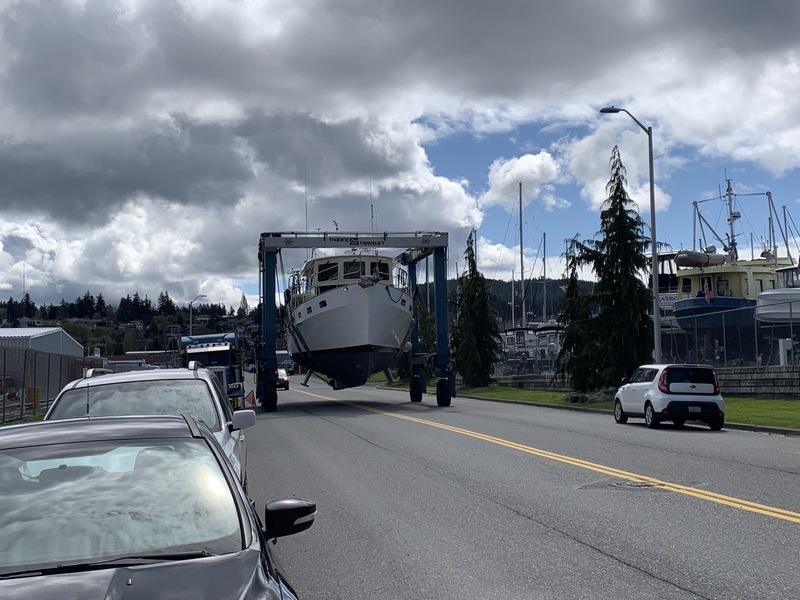 The mechanic is aboard for the launch to make sure there are no problems since North Harbor replaced the shaft seals last fall. Idyll Time Springs to life as if she was run yesterday. Patric, the mechanic, gives us the go ahead and we are soon back to North Harbor’s Dock. Our first night on the dock was going very well, that was until about 10 PM when Jeff noticed one of our bilge pumps cycling on. Inspecting all the holds, we find a small leak in the lazaret. The water appears to be coming from the diver zinc bolts which upon inspection we find are loose. 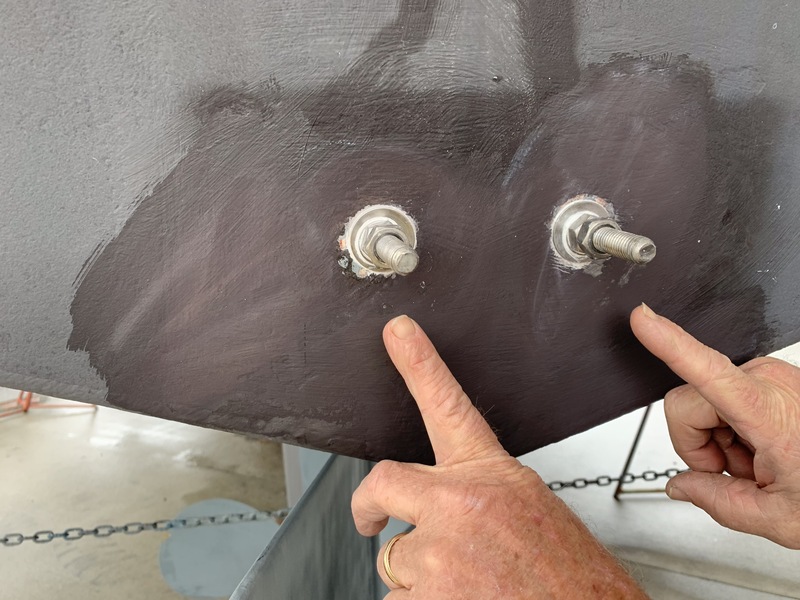 We manage to reduce the leak to a slight trickle by tightening the bolts. Apparently the seal was broken when the diver zinc was replaced last fall. So…..now we must be hauled out again and have the bolts resealed. This means staying out of the water for 24 hours. All goes well with the second lift and we are back in the slings the next afternoon and headed down the street to the launch pit. 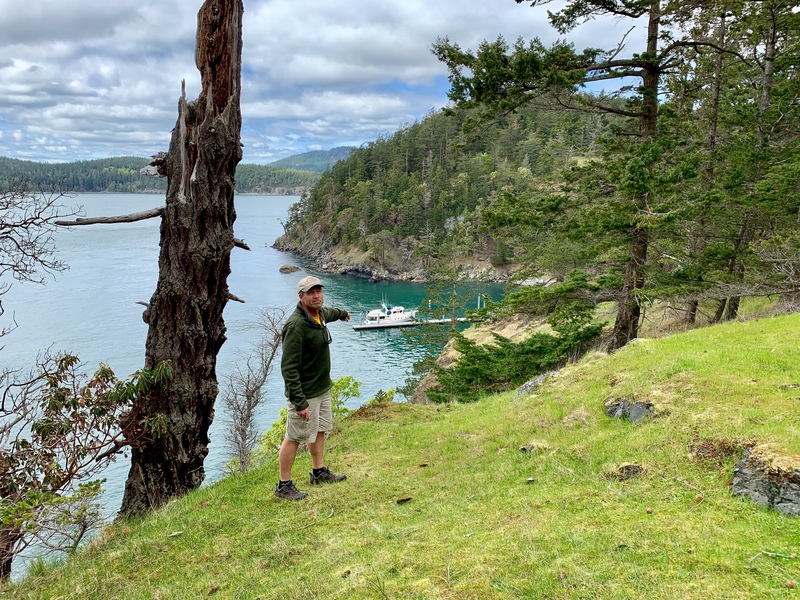 With no other leaks found, we spend several days in the San Juan Islands while testing all of the boat systems. We spend our first two nights on the hook in Blind Bay on Shaw Island. 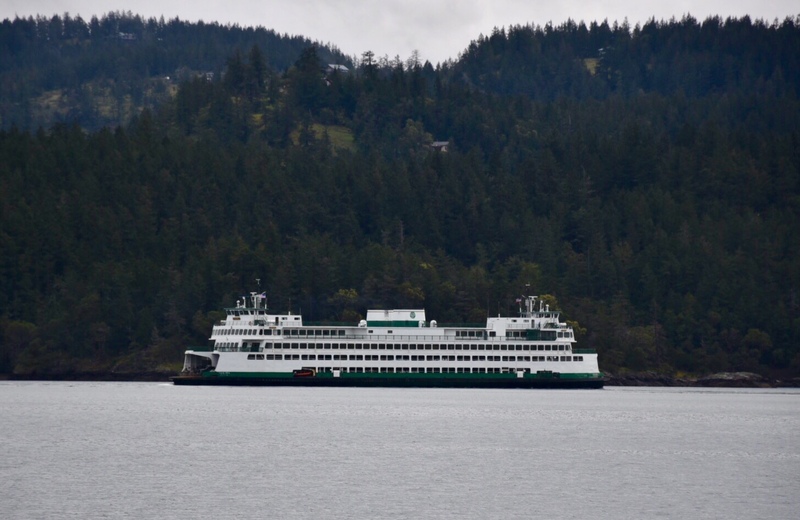 From our anchorage, we have a great view of the Washington State ferries coming and going from both Shaw and Orcas Islands. We dinghy into the ferry landing on Shaw to visit the general store which was built in 1924. This is the only commercial establishment on the island. 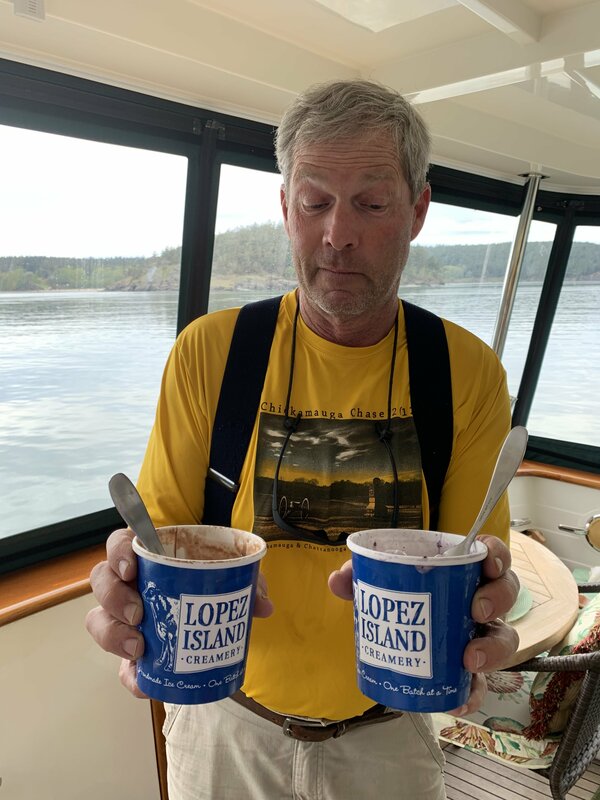 We come away with two pints of ice cream made on the neighboring island of Lopez. 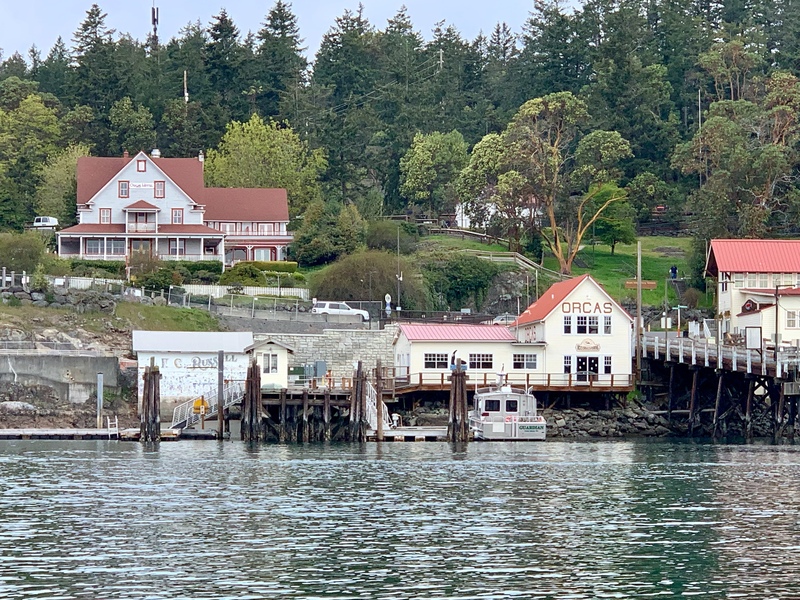 The next morning, we take the dinghy across Horney Channel to the ferry landing on Orcas Island. Orcas also has a really nice general store where we find some amazing home baked scones and muffins. Our good friends from Anacortes Barb and Brian and their new Rag Doll cat Barney join us in the anchorage for the evening. It is always fun to spend time with them. James Island Marine State Park is our next stop. 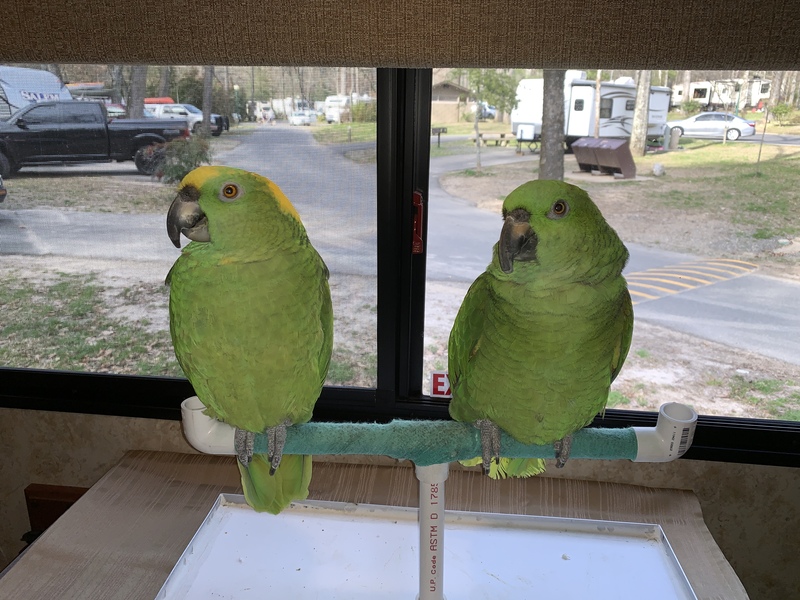 We are happy to find space on the 130 ft. long State Park Dock. Brian and Barb had thankfully given us a great tip on docking here. The currents from Rosario Strait swirl around in the anchorage and create a counter current completely opposite of what you would expect. Jeff took this into account and stayed well off the dock allowing the current to gently guide us in. Only one other boat is on the docks and they soon leave giving us the island to ourselves. Ashore we find several hiking trails leading to several primitive campsites. We see evidence of the local deer population but never spot them. We are fortunate to have this place to ourselves. Durning the summer boating season, the docks would be full of visiting boats. 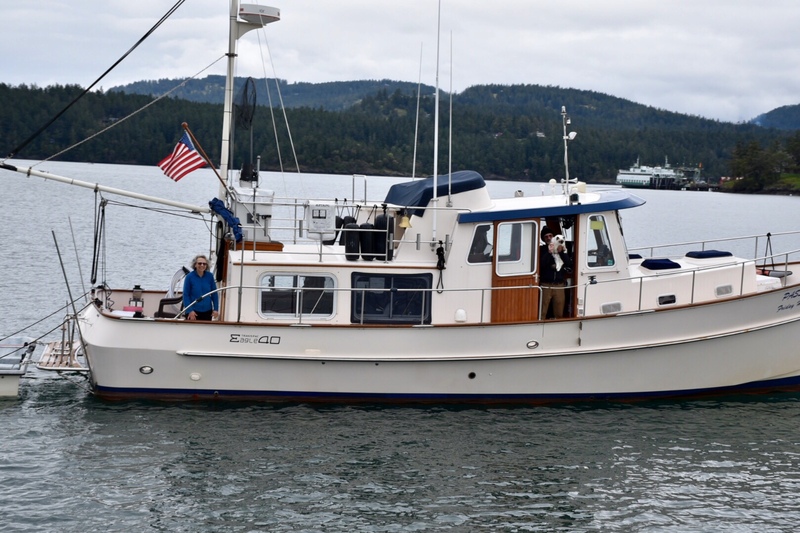 We will head back to Anacortes tomorrow for fuel and additional provisioning. Nate and Primo must visit the Fish and Wildlife Office in Blaine to have their CITIES Passports stamped out of the U.S. so they can go into Canada. 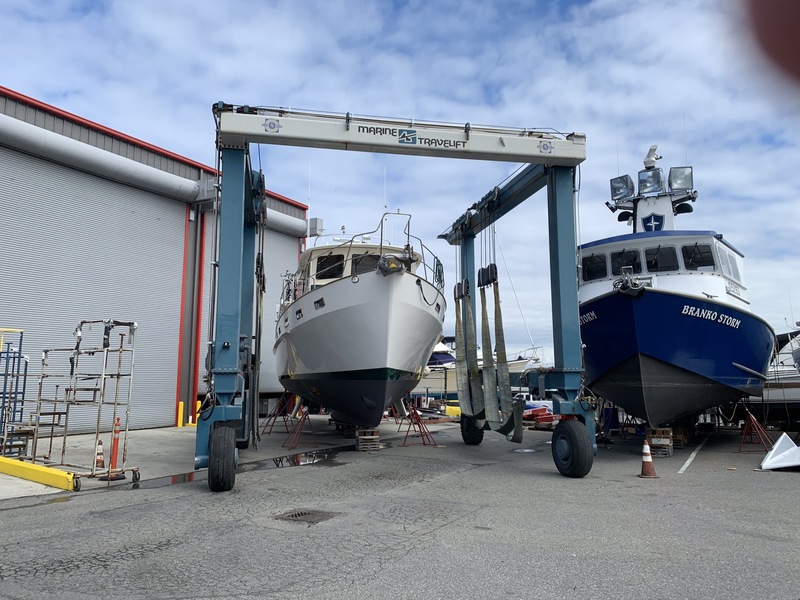 Our next stop will be Philbrooks Marine on Vancouver Island for some electrical work before shoving off for the summer season of cruising. If all goes well, we plan on heading back up to Alaska for the summer. Thanks for following along.